Professionally printed labels on vinyl media. We print your design, just select your media and upload your design work. We can resize your file to fit the candle properly. We do not change your design work so please make sure your design is error free and accurate. 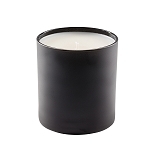 Once labels are printed they are not refundable and once applied to candle cannot be removed. There are no color limitations or shape limitations. Labels can be contour cut with out die fees. Please use the text box to provide us with as much detailed information that will help us produce the label you want. Examples of the information you should provide are: label shape, if you want rounded or square corners of the label, if you want a specific size for the label, etc. Please remember we are only printing the design you provide. We cannot and will not refund you for any candles or labels that you do not like because of design. 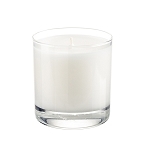 All prices include the application of your label to the candles. We hand apply all labels to candles.